So, if you made automation which could extract a material from a dune, such as water, or Metals, that could qualify as an increase in assets, and could furnish resources for investing in future operations. And it might prevent the extinction of the company. Trade with the Earth using its paper currencies will also be important, but yes you can make a profit or suffer a loss without it, if you are operating on Mars. Same with a greenhouse. Planting is investing. Tending is protecting your investments, and harvesting is profiting from your investments and efforts. If your crops fail, then you have suffered a loss. But its all OK. You let me express myself. I am sure you can give me a few hand bites if you want to as well. My armor is not without faults. Take care, until next time (I bother you). Profit makes sense only in a money economy. Clearly when the NASA astronauts were operating on the Moon, albeit in a short timeframe, they were not operating within a money economy. The extent to which activities on Mars will, initially at least, be connected to Earth's money economy or part of an internal money market on Mars remains to be seen. To refer to an increase in assets from mineral extraction makes no sense in the absence of a money economy. For instance the Mars settlers could concentrate all their energies on extracting iron ore. If they did that to the exclusion of all other activities, their colony would not be "more protifable", it would simply be dysfunctional and would die. I think with a non-money based Mars economy, the more important balance sheet relates to the amount of tonnage per person that has to be imported to maintain the colony. That is an overall measure of the functionality of the colony (so less per capita tonnage equates to greater functionality in broad terms). That said, I think the likelihood is the Mars colony will be tied into the Earth money economy from the outset with Mars-based activities effectively paying for much of if not all the imports. So it will be mixed picture with Mars displaying elements of a command economy, the Earth-based money economy and a Mars-based internal economy. Guess what killed Project Apollo? It was supported by the Government, not by profits. Profits are more of a sure thing than the political whims of government! I think so long as a Mars settlement needs support by congress, it is vulnerable to budget cuts, and nothing we do on Mars is ever going to be permanent unless it is self-supporting, and that means profits. Sending astronauts to the Moon in a Saturn V spaceship, throwing it all away so astronauts can bring back a few hundred pounds of moon rocks back to Earth was not profitable! In my view it profited the human race that we landed people on the Moon at all. And then again, it also slowed things down from cost after that. I am beginning to see that the word "Profit" is usable in many contexts, and a rational discussion on the topic may be very hard to achieve due that that since each person may what to use the word in a way that suits their opinion. It is an interesting exercise to take the total weight of all the rocks collected by astronauts on the Moon, and divide it into the entire cost of the Apollo Moon Program. Now the question is, would the market price of those Moon rocks equal the price it took to get those Moon rocks? I am going to try to behave myself, I do like you, but I am going to have to smurf you bit on this. Just focusing on the Rocks, which did not contain many gold coins ($0.00), we could argue that your very best friends the Soviets had a better plan. In their plan very little risk to human life was exhibited, and they did get samples. But with humans landing on the Moon God's will was demonstrated. I suppose that sounds funny to you. But I am older. I recall being in church as a boy and hearing the minister (A very nice man), preach that "God would never allow man to land on the Moon". Well, apparently God didn't mind, at least not so far. And he and others like him could no longer cite Gods potential anger as a reason not to go into space. So did we profit from that? How much? How much will depend on if we survive as a kind, and if that kind is able to access those resources in space. RobertDyck plants his greenhouse, and 1 week later he has not harvested a crop, did he engage in an unprofitable and foolish thing? By the way, if he does wait until he gets a crop, and is successful in getting one, has he made a profit? I don't think it hurts to work this over, since many here want to sponsor space on "Profit", I guess I and perhaps others might try to get a better perception of what it is. Actually I am messing with you guys on this not to teach, but to learn. Also to learn, if perhaps I am wrong. Long story short, the "Round about way", requires that you take some losses in a way to gain a favorable position, in order to be ready to benefit from being situated for what may come. We have to be very careful when talking about profit. There are people who use double-speak, that try to make one thing sound like another. Government does this all the time: department of war has been renamed department of defence, etc. Here in Canada, there was a strong push for decades to eliminate the federal government deficit. Now we have raging lefties talking about "infrastructure deficit". That really means government is no longer spending more money than it has, so it isn't going more deeply in debt. But those raging lefties don't care about who pays the bills. They just want their spending, and they want it now! Don't I sound like a right-winger? And I'm a member of the Liberal Party of Canada. But I'm a fiscally responsible Liberal, and I use the word with a capital "L" as the name of a party. Fiscally responsible members of our party are moderate, we believe in spending within our means. I can expound on progressive values at times, but spending must be controlled. The basis of the concept of profit is to ensure whatever you do has a positive balance on your net assets. That is, after you do your work, do you have more assets than you started with? That's profitable. If you have less, then it's waste. The tricky thing is when you expend one set of assets to produce a different set of assets; whether it's profitable could depend on the value you assign to each group of assets. Money is supposed to be a simple means to resolve that. Every asset is given a value in money. For multiple millennia money was coins of precious metal. Every coin was based on the precious metal from which it was made. But even in ancient Rome, government wanted to cheat by minting coins with less precious metal than the value of the coin. So manufacturing coins was itself profitable. Rome did this by minting coins with a core of copper alloy, clad in a silver alloy coating. Don't ask me how they did it, electro-plating wasn't invented yet. The government then paid for government expenses with these coins, valued as if they were solid silver alloy. Chinese invented the first paper money, which has proven to be easier to carry than coins. At first paper money in the US could be exchanged for gold coins, which ensured paper money had a value based on a certain weight in gold. Then they abandoned the gold standard; resulting in rampant inflation. So paper money has been manipulated by government for millennia for the purpose of defrauding everyone else to benefit the government. Inflation means money saved in a bank account reduces in value, because the definition of inflation is the value of currency drops. This effectively steals money from hard working citizens. In space, you will have to look at resources directly, not currency. There will be people who do not understand this. But if you play a computer strategy game, this will be immediately apparent. Look at a game such as Warcraft or Starcraft; they start you with a town hall or command centre where you can "produce" or "train" workers, and where resources are brought. In Warcraft III, a single farm can only support a certain number of citizens. You must expend gold and wood to build another farm. You can harvest gold from a mine, transport to townhall. And you can chop down trees, transport logs to townhall. All this is greatly simplified, real life is more complex, but it gives you the basic idea. Start with resources, ensure your resources grow. On NewMars we have had many lengthy discussions how to live in space. How to grow an base with minimal support from Earth. That's profit. Not in money, but in resources. But as long as you require any support from Earth, you must have something you can sell to Earth for trade. Most families have a communal economy within the house; everyone contributes to maintain the house, and everyone lives there. A century ago, and longer ago, it used to be the husband would go to work outside the home to bring in money, and use that money to bring in external resources. The woman would do work around the house: cleaning, laundry, sewing, planting/tending/harvesting a vegetable garden, preserving vegetables (often by "canning" in glass jars), etc. Some people today do not realize how much work a woman was expected to do before the invention of washing machines, sewing machines, vacuum cleaners. Even my mother sewed clothing for her children. I vaguely remember my mother being very proud of sewing a blazer for me when I was a preschooler. Back then, children had chores. That means children did work around the house as well. On a farm, children had more chores. That often included feeding livestock every morning before they left for school. Notice what I describe: a household is a commune where everyone has a lot of work to do. There is no money exchange for work within the household, but everyone benefits. The household has some members who do work to bring in money from outside the household. Israel has a type of small farming commune called a Kibbutz. Citizens of that commune do work for the community, and everything is owned communally. To put this in terms that an American can understand, a Kibbutz is treated as an extended family. The community sells products to other communities, this is a strictly cash exchange. So they are only communist within the community, the organization sells and buys like any other corporation. Small, initial space communities will have to be set up that way. Every asset of the community will be shared, everyone will contribute work, and most of what they need will be supplied by the work of the community itself. But there will be certain key items they have to purchase from Earth. To pay for that, they will have to sell something to Earth. If a commercial corporation establishes the space settlement, it will have to see a profit. No corporation will invest money unless it gets a profit. That's in money, not space resources. So there must be enough commercially saleable stuff returned to Earth to earn enough money to recover their investment, plus a cash profit. What will that stuff be? If government does it, same thing. Yes, same thing. Government will not sustain anything in space unless it's profitable. Queen Isabella of Spain sold some crown jewels to pay for the expedition of Christopher Columbus. He had claimed he would find a direct route to India and the source of spices such as cloves. They wanted resources that were commercially valuable, and wanted to cut out all the middlemen who were taking profits in a long trade route to Spain. Based on verbal descriptions of the Silk Road, Christopher Columbus claimed Asia was much wider than it actually was, so he thought the coast of Asia was about where the Atlantic coast of North America actually is. He was wrong, he never did discover an alternate route to India or China. However, he found the Caribbean and Central America, and a lot of resources. Columbus brought back seed crops for corn, tomato, potato, chili peppers, bell peppers, cacao (chocolate), pumpkin, peanut, as well as cassava (processed to tapioca). They had squash, pineapple, avocado, guava, and papaya. Spain conquistadors went on to steal gold from natives. That's a long story, but the point is although the original purpose was never accomplished, these expeditions were highly profitable. Do you know what it is, it is Obama-nomics, basically the idea in theory is that you use taxpayer money and borrowed money to "buy jobs", it hasn't worked in the United States, but those raging lefties in Canada think that they're special, that is their excuse anyway, the real objective is to buy votes with taxpayer dollars and "future taxpayer dollars." (Deficit Spending) Obama is deeply unpopular in the United States, and I'm surprised that word hasn't gotten out to Canada, after all it is the nation next door. Don't Americans talk to Canadians? I understand we speak the same language. I am sure their are some Americans who talk to Canadians and tell them how they don't like Obama and all that. Obama is on his way out in this country, the World is a mess, the Middle East is a more violent place because of his policies, and we have a new Cold War with Russia, that's all attributable to Obama, if not the last with Putin. So Canadians think having a leader who is in the mold of Obama is a good idea? How did that happen? Apparently Trudeau has no confidence in Obama's Middle east policy, otherwise he wouldn't be pulling troops out of Iraq. Maybe they ought to rename it the Moderate Party, has Canada ever had a party called the Moderate Party before? How about calling it the Libertarian Party? The United States has a Libertarian Party I believe. Most Libertarians in the United States are registered Republicans, the most well known I think is John Stossel. 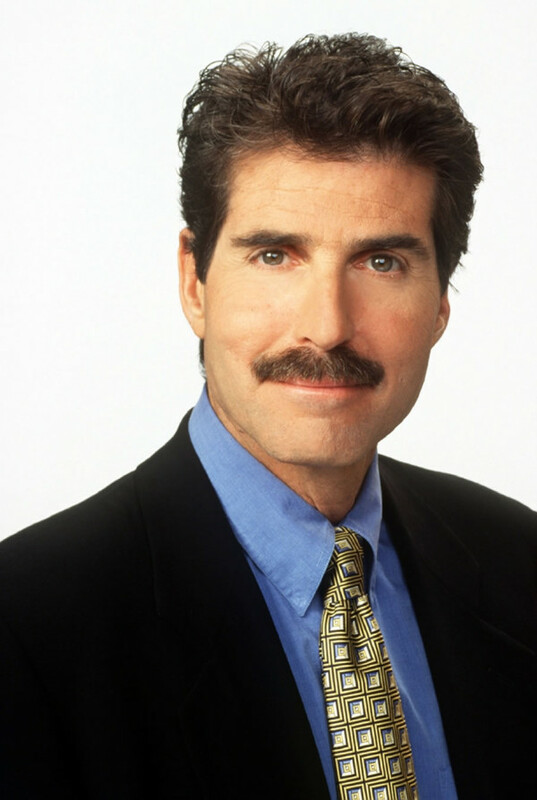 Have you heard of John Stossel? He works for Fox News, I'm sure some Canadian audiences have seen his show. A government can be irrational at times, the Soviet Union was, it set up cities in Siberia that became ghost towns, because their was no economic justification for them. I think China may build a new fleet of Treasure Ships in space if its leader is so inclined, it did have Treasure ships before and then decided there was nothing worth exploring and so burned them! I'm not ignoring you Tom, but RobertDyck's commentary seems rather useful. I was looking for another layer of business advice, and I am then reminded that he is indeed a businessman. So, perhaps we could call money "Virtual Profits". A representation of profits surrendered for it's symbolic representation of value. Those are trusted to varying degrees. So, recently models posed for the obtainment of a "Money" (Which I think could now be like Gold, Paper Currency, or BitCoin). The two models so far that I have noticed from other members are being paid to transport people or supplies between planets, and hosting scientific researchers, curiosities shipped back to Earth, along with samples. Although the Moon could be, and was seen as a diversion from a 1st expedition to Mars, it now appears to me that it is an asset to the purpose of turning a profit from Mars (And the Moon). It is interesting that when we hear the news, about wars, they talk about getting intelligence from the war zone. I think they should get their intelligence from their minds, and get information from the war zone. The original information on the Moon was "Dry" nothing to get for an expedition except maybe liquid Oxygen. To do that you would need to land fuel. Not worth it. Now the information is different, where possibly the Moon is much more Mars like, and perhaps even more Earth like than was assumed. So in a business calculation designed to weave the Mars story into a pattern of profit and cash flows, the new information should be considered. 1) There is probably more Hydrogen on the Moon than was supposed, therefore more fuel, perhaps even in more convenient locations. 2) It seems that metals can be used to propel electric rockets with great efficiency. 3) Because of 1 & 2 it may be more economical to get special materials from the Moon to Earth orbit, and to the Earth itself. 1 indicates that you can do life support on the Moon, and launch chemical rockets from it. 2 indicates that you should be able to service the satellite network around the Earth in part with propulsion from metal plasma. 1 & 2 suggest that in addition to supporting #3, they might support commerce with Mars. So now instead of refueling satellites with water derived fuels from asteroids, you might use electric tugs to move satellites, and to move repair and upgrade methods to those satellites. There are some cash redeemable services available in 1, 2, and 3. Now how to weave Mars into the mix? ***I think NASA should go ahead and get the boulder off an asteroid, there are various reasons to do it, some of them involving insurance to protect asset on the Earth, around the Earth, and in the future in deep space. It will be good information, it is an intelligent thing to do. And with or without the Moon, it may be good practice for a mission to Mars. It has been proposed by others that support from university systems could be a source of cash. Robert has mentioned children in a profitable family situation. I mentioned the round about way to profits. A child is an investment, however you want to look at it. It is generally expected that the average child will generate profit during it's lifetime. If this is not the information gathered, the social pressures are applied to change that feedback of information. A Mars colony will be able to expect some donated money. From various entities that want to see it succeed. And then there is 3D printing. As long as the Mars colony does not manufacture goods to compete with 3D printed goods on Earth, and the Moon, I don't expect copywrite to be an obstacle to people on Mars getting any software to manufacture what they want. So, it may be true that it will not be nearly as hard to get finished goods on Mars as may be thought. So, I feel that Mars as an Antarctica as others have suggested should be the model. 5000 people would be a great achievement, and even perhaps a insurance policy for the human race, particularly if there were also a small population on the Moon(And other places). I think the plan is worthwhile and could turn a profit at specific locations, and eventually be sizable with a network of cash flows between worlds. I will be happy if I will be supplemented or corrected on what I have suggested. Like Void has indicated that there are lots of ways to measure whom is and is not having a profitable condition but with the absence of a real currency to base the profit on it comes back to like goods trade or bartering to judge the fair valued that each feel is comparable to each. The ISS with its space walks and like kind uses of the partners food, equipment, space suits are all bartered in terms of a cash value to some extent. Of course some would say that the rising seat costs by the Russians is gouging but it sure does beat the Nasa price tag hands down. Of course what a man can do for mankind is also a profit for all of civiliazation profits from the action of others one could also go as far as to the space spin offs to be counted in that profitable to mankind equation.. Mention of barter demonstrates that the value we put on things is based on labour input. All else being equal, we would not exchange something that cost us ten hours of labour for something that cost someone else one hour of labour unless that object was unobtainable to us through our own labour. But even if it were unobtainable, there will be intermediaries and they will be making the same calculation in a free market. The unemployment rate quoted in that ad doesn't reflect the low participation rate of Americans in the Job Market, that rate hasn't been so low since 1972. The Unemployment rate has gotten so low by Americans giving up looking for work after being unable to find them over the last 7-8 years, it hasn't gone down by Americans finding jobs, there has been a slight uptick in employment but most of those jobs went to illegal aliens who work for much less than American Citizens, and most of those illegals don't come from Canada! As for levels of military spending you have to take into consideration two things, a dollar in the year 2000 was not worth the same as a dollar in 2015, so some of the increase is just inflation. Also in 2000 we were at peace, the Cold War had ended and someone decided to stir things up in 2001. As far as Bush was concerned, Putin was just another European Leader, Putin has since been trying to demonstrate otherwise. It is a shame really, a lot of kids growing up today don't remember the Cold War, it never occurred to them that Russia was supposed to be the bad guy, and now Putin is reminding them, they grew up in an era of peace, and Putin is trying to drag them back into an era of Cold War, both Russians and Americans. I'm sure if it was put up for a vote, most Russians would have voted no on a new Cold War, but Putin didn't give them any choice! The Cupola project was started by NASA and Boeing, but cancelled because of budget cuts. A barter agreement between NASA and the ESA resulted in the Cupola's development being resumed in 1998 by the ESA. It was built by Thales Alenia Space in Torino, Italy. The MPLMs were provided to NASA's ISS programme by Italy (independent of their role as a member state of ESA) and are considered to be US elements. In a bartered exchange for providing these containers, the US gave Italy research time aboard the ISS out of the US allotment in addition to that which Italy receives as a member of ESA. The Permanent Multipurpose Module was created by converting Leonardo into a module that could be permanently attached to the station. The cost of seats while this one is paid in cash has been difficult for some to swallow... The $424 million represents flights to and from the International Space Station aboard Russian Soyuz spacecraft, as well as training, for six astronauts in 2016 and the first half of 2017. That's $70.6 million per seat – well above the previous price tag of about $65 million. The six seats included in the latest Russian contract covers not only Americans, but European, Canadian or Japanese astronauts under barter agreements between NASA and those countries. Barter, that's interesting. It seems that before you can have a cash system, or if cash does not work, then you make deals. I have been thinking of sources of starter cash for outer space. Most or all are from other peoples ideas. 2) Hosting Scientists sponsored by entities on Earth. On Mars or the Moon, but most likely Mars. 3) Selling returned objects as gift items. 4) Providing transport for equipment and people. #5, why not. it is a cause like save the whales or whatever, donations. 6) Getting material goods to Service Earth Satellites. (Fuel). 7) Getting Metals down to Earth worth the bother. 8) Recreation for the wealthy, and interested types. This is a deviation from Profits, but I think it has been established that the profit systems have to eventually tie to some cash linkages.